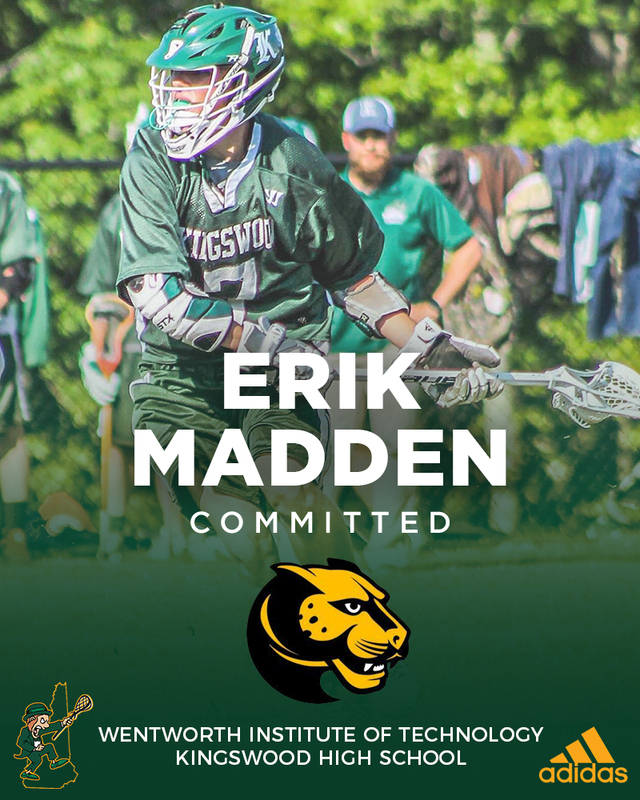 Midfielder/Attackman Erik Madden, of Kingswood High School, recently announced his commitment to study and play lacrosse at Wentworth Institute of Technology. Wentworth Institute of Technology (WIT) is located in the heart of Boston, Massachusetts. The Leopards are a Division III athletic institution and compete in the Commonwealth Coast Conference; arguably once of the toughest conferences in Division III New England lacrosse. Madden will play under Head Coach Dan Russo, who has been the head coach for the Leopards for seven seasons.